Detox tea can be used to help flood your body with nutritional support and spur your cleansing organs into action. 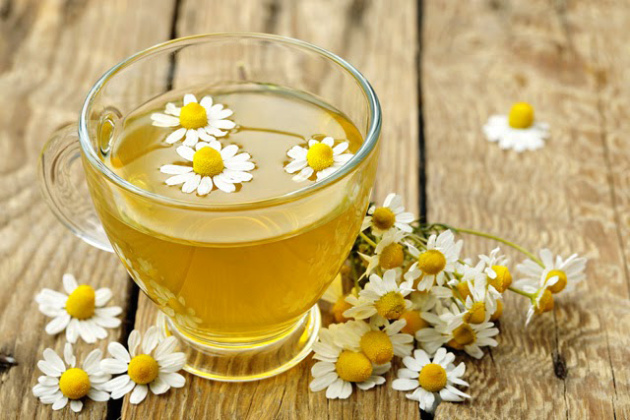 The following tea tea recipes will provide you with specific benefits and you can use them separately, or together as an overall detox program. Drink daily and be well. This tea is made with a combination of turmeric and ginger. You may already have some turmeric in your cupboard if you like to cook Indian cuisine, as it’s a staple spice in many Indian dishes. Turmeric has long been associated with having anti-aging benefits in the form of cancer prevention and anti-inflammatory properties. When you combine turmeric with ginger you are getting a powerful duo that will help you battle free radical damage with the antioxidants they provide. This will not only help you look younger in the present, but will help you feel better, improving joint mobility and helping to keep you free of debilitating diseases in the future. Pour boiling water over the ginger root and turmeric powder and stir until they powder is fully dissolved. Strain through a mesh strainer to remove the grated ginger. Rev up your metabolism with this spicy tea that contains two Ingredients known for their ability to get your metabolism back in gear. The first is garlic, which you’ll want to use fresh instead of powdered. You’ll also be getting other benefits from the garlic, like helping to fight off colds and the flu, and helping to bring down high blood pressure and cholesterol numbers. That makes this tea especially good for daily use, and something that you can take during cold and flu season to stay in peak form. Boil the water and pour over the cayenne pepper and garlic, stirring until the powder is dissolved. Let sit for one minute. By chopping the garlic rather than using whole cloves, you are helping to get more of the alicin they contain, the substance that will do you the most good when trying to detox the body. This is a tea you can – and should – drink every day for better health. Green tea is one of the most antioxidant-packed teas available, and its link to cancer prevention is iron clad. By adding in some raw honey you’re getting digestive enzymes and additional antioxidants, and the lemon provides Vitamin C to boost your immune system even further. You can drink this daily as a way to keep your body free from the harm of free radicals, as well as preventing several types of cancer and maintaining a healthy body weight. Many toxins are stored in fat cells, so getting rid of excess fat stores is one way to have fewer toxins in the body. This tea will help you burn the fat, which in turn helps you think more positively about yourself, get more active, and in essence have a healthier life. A tall order for any beverage. Exercise may be the most effective way to detox, as it builds up lean muscle and helps you shed fat, and supplementing your diet with a detox tea like this is a great way to get the most out of your efforts. Boil the water and add it to the cinnamon, stir until the cinnamon is dissolved in the water. Squeeze the lemon wedge into the tea. Cinnamon and lemon are a potent combination, and you can also add in some raw organic honey if you’d like to sweeten it up a bit. Preventing cancer is something we can all subscribe to, and a toxin-free body is one way to keep yourself healthy, energetic, and free of disease. There are also specific herbs and plants that have been shown to reduce the likelihood of cancer, and dandelion is one of them. Strange as it may seem, this pest to lawn owners is something that may actually help you stay cancer-free. While green tea is often referenced as being the anti-cancer tea of choice, there are other herbal remedies that you can use, each with their own positive signs from clinical studies. This is a way of combining the power of each of these into one tea, providing the benefits of each in one cup. It’s easiest to steep a full cup of each and then mix them together and share with someone you love. Your liver is the central figure in how well your body can keep itself clean and toxin free in between your detox efforts. Milk thistle has been shown to be an effective way of spurring your liver into action, helping it produce more bile which in turn has a positive domino effect on the rest of your digestive system. Being kind to your liver is one way to make sure that you are staying on top of things and being healthier overall. You may want to consider flushing your liver with any of these detox water recipes. A little bit of coconut milk gives the tea a much better flavor, keeps it dairy free, and provides a bit of healthy fat. This tea contains a mix of several different herbs all geared at getting various parts of your body in working order. It would be recommended to use this tea if you’re just starting to turn things around and you’ve never detoxed before. This tea can help your body overcome some of the damage that’s been done internally and start to restore itself. You can find these herbs at a local herbalist, or online. They’ll come in dried form, in various shapes and sizes. Chop them up with a chef’s knife and then boil them up in the water for 3-5 minutes. Use a mesh strainer and strain it into your cup.